Reinvigorate your daily drive with the new 2018 Mazda3. Its sporty handling and sleek design are sure to wow. From long road trips to the morning commute, the Mazda3's dynamic driving experience is as rewarding as it is thrilling. At its heart is a standard 155-hp, 2.0-liter four-cylinder engine paired with a six-speed manual transmission for the base-Sport model. Moving up to the Touring and Grand Touring models replaces that engine with a 184-hp, 2.5-liter engine and six-speed automatic transmission. . This convenient, easy-to-use technology gives drivers another view of the road for increased visibility when parking or moving in reverse. 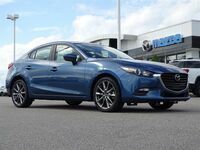 From sharp curves to stop-and-go traffic, the 2018 Mazda3's quick acceleration and responsive handling makes it easy to tackle any challenge a new day may bring. Choose from a 4-door sedan or 5-door hatchback, each with seating for up to five passengers and plenty of room for cargo. 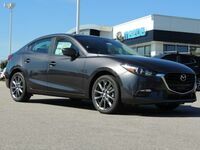 Test drive the new 2018 Mazda3 today! Inside the cabin is a spacious interior with a wide variety of premium technologies all within reach. Whether you're driving on a busy highway or a rough country road, the 2018 Mazda3's cabin stays quiet and comfortable. 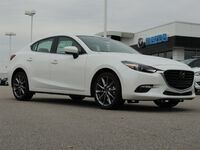 Standard features are also plentiful and include a six-speaker stereo, a 7-inch touchscreen, Bluetooth, a Mazda Connect infotainment system, remote keyless entry, keyless ignition and much more. For even more premium features, consider moving up in trim to the Touring or Grand Touring. 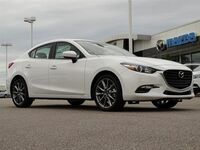 The Mazda3 Touring carries over all the features of the Sport and adds simulated leather upholstery, heated front seats, dual-zone automatic climate control and 18-inch alloy wheels. How will you choose to build your 2018 Mazda3? Our award-winning team of experts are here to answer your questions and help you find the perfect vehicle. Contact us today!